Macular degeneration and smoking adds up in many ways to poor eye health. There are several studies that confirm smoking contributes to the cause of macular degeneration. Smoking contributes to vascular disease not only in the heart but also in all parts of the body. This means the blood vessels of the eye are affected as well. Poor circulation contributes to the degeneration of the retina because important nutrients and oxygen are not delivered adequately nor are built up waste products removed. If you are a smoker - quit. Smoking impedes the circulation of blood to the eye and retina and damages the delicate blood vessels inside your eye. 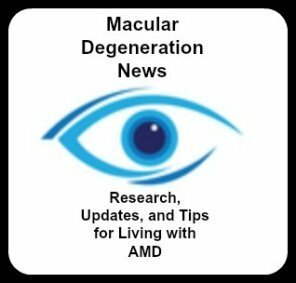 Several large epidemiologic studies have shown that smoking more than doubles the risk for age related macular degeneration (AMD). There are many reasons that smoking increases your risk of macular degeneration for dry (atrophic) and wet (neovascular) macular degeneration. Every cigarette you smoke is causing damage to your vision. Macular degeneration and smoking have many health implications for the eyes. √ Smoking causes vasoconstriction (narrowing of blood vessels) which affects the blood supply to the eye and increases your blood pressure which is also a risk factor for macular degeneration. √ Smoking enhances the generation of free radicals which causes cellular damage. √ Smoking decreases the levels of antioxidants (which protect against free radical damage) in the blood circulation, the aqueous humor (the clear liquid between the cornea and the lens) and the tissue surrounding the eye and retina. √ Smoking causes a reduction in macular pigment density in the fovea (center of the macula). Macular pigment protects the macula from UV and blue light damage. √ Smoking reduces the amount of oxygen in the blood so that there is less oxygen being fed to the macula. 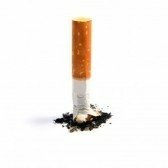 √ The tar in cigarettes triggers the formation of deposits and thickening in the retina that cause age-related macular degeneration, according to Duke University Medical Center researchers. "Our group also previously demonstrated that nicotine makes active wet macular degeneration worse. This is important because this implies that patients with active wet AMD should not smoke or use nicotine replacement therapies," states Ivan Suñer, MD. √ Smoking impedes the circulation of blood to the eye and retina and damages the delicate blood vessels inside your eye. √ Studies in mice showed that smoking has a role in cell injury to the retinal pigment epithelium. The most important thing you can do to protect yourself against AMD is not to smoke, and if you do smoke, to stop.